Picky Eater Problem? Not at Social Pie! Being a picky eater, or eating with a picky eater, can be difficult. You don’t necessarily want to get mad at the picky eater in your life, but it can sometimes be very frustrating. Thankfully, Social Pie has the best pizza in Dallas that allows for whoever the picky eater is to find something they will love to eat—and of course, it’s great news for you too! Who doesn’t love Social Pie?! Not only to we have the best pizza in Dallas, but we also have delicious salads and sandwiches—and, we have pizza delivery in Dallas! Whether you join us at the restaurant or decide to eat at home, know that you will be able to find delicious options for the picky eater in your life—whether that is you or someone in your friend group, you can be at ease when you’re eating Social Pie! Picky eaters rejoice! We have a ton of delicious options that won’t scare you off—we promise! Although we see picky eaters happy at Social Pie, that does not mean that our food lacks flavor and unique options! Whatever option you go with from Social Pie will leave you happy, full, and thinking about when you’re coming back! Four Cheese and Pepperoni—the two most classic options, the picky eater in your life will have options! Still packed with flavor, your mouth will be watering! Great options for those customers who know what they like and stick to the classics. Our tasty Four Cheese Pizza! If you’re really picky, we have our Build-Your-Own option which is great. That way you can ensure that you’re getting the right sauce (or no sauce!) and toppings without having to worry! 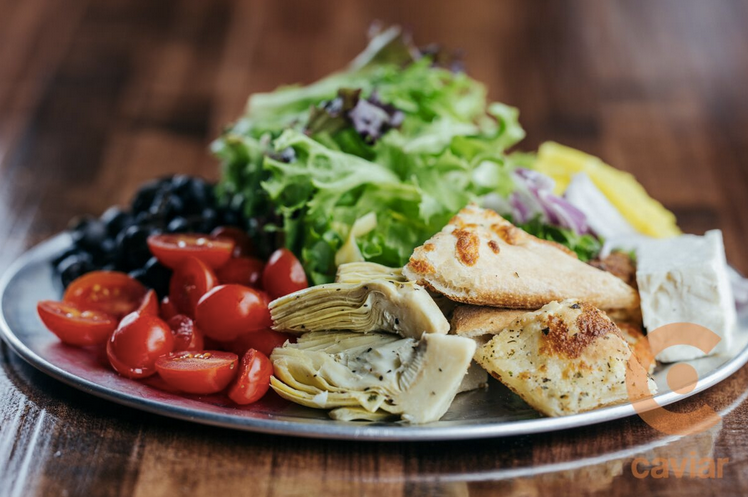 For the picky eater who actually enjoys salads and eating vegetables, we have great options for you! Whether you go with the House or Social Caesar, you will be able to stay in your comfort zone! Packed with flavor and only the best ingredients, you will fall in love! Mmmmm, Social Pie's House Salad! No matter what foods you avoid or detest, you will be able to find something for everyone in your friend group when you visit us at Social Pie! With a ton of options, we know you will find your “regular” order here!